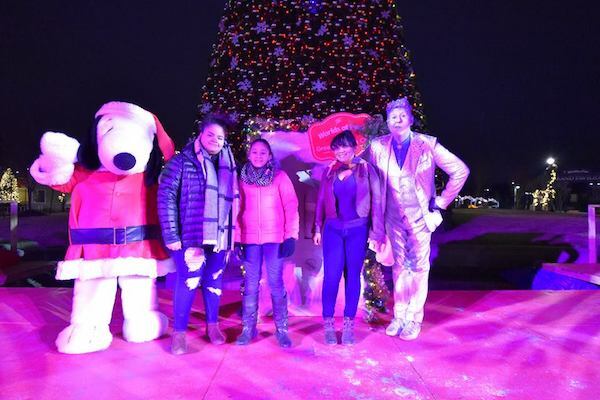 The holiday season is all about the food, and WinterFest at Worlds of Fun is no different. Lead by the creativity of our executive chef Wesley Boston, our culinary team has introduced a special menu featuring more than 20 items just for WinterFest – making this holiday event incomplete without trying some of our tasty creations. 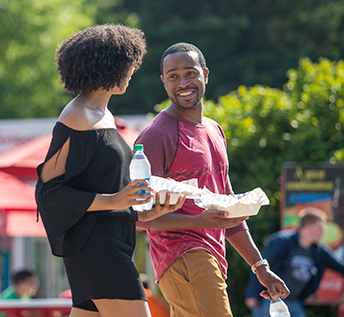 While you can still find some of your beloved favorites, the food featured during WinterFest isn’t your standard amusement park eats. 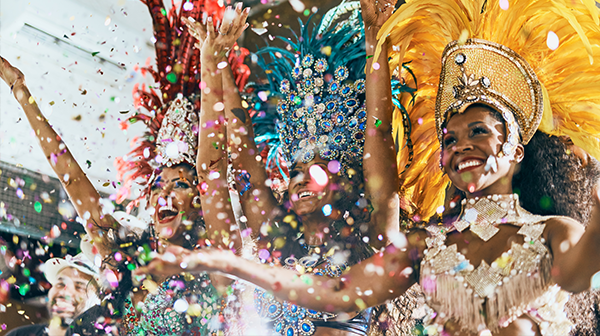 During this seasonal celebration, we combine a traditional holiday-style menu with inventive creations you can’t experience anywhere else. 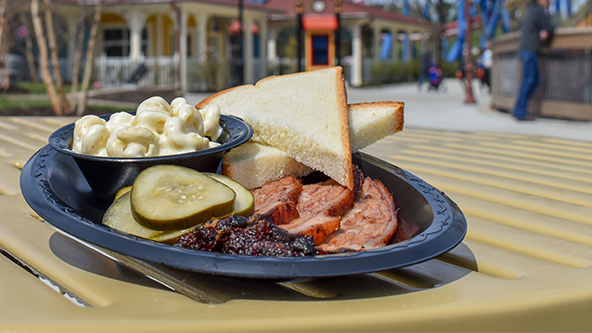 From smoked turkey and carved ham to tuxedo bacon and holiday egg rolls, you’re sure to find something for everyone at special dining locations throughout the park. Coming off last year’s successful debut of WinterFest and the glowing response from our dining options, we decided to keep raising the bar by introducing new food that is delicious as it is unique. 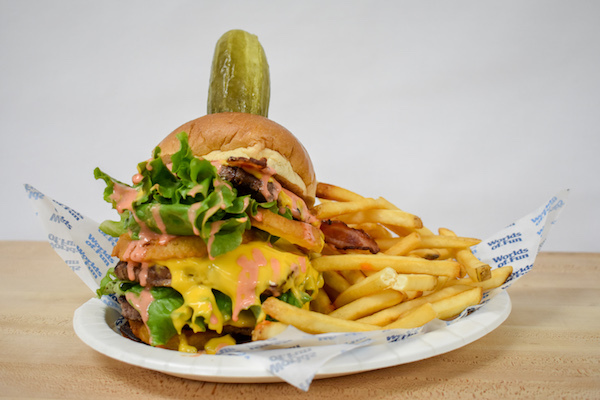 Here’s a preview of some new items available at special dining locations throughout the park. 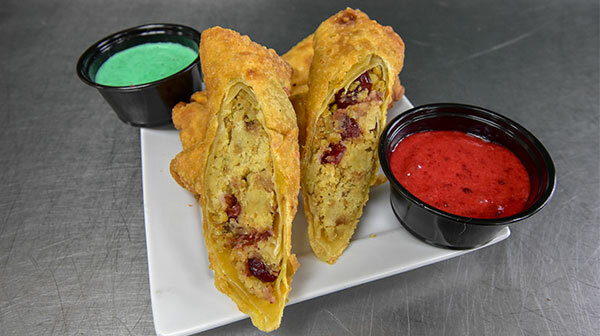 Holiday Egg Roll – A seasonal twist on everyone’s favorite Chinese food appetizer, stuffed with dressing, cranberries, turkey and homemade dipping sauce – red reindeer sauce and green Grinch sauce. Available at Vixen’s Fixins. 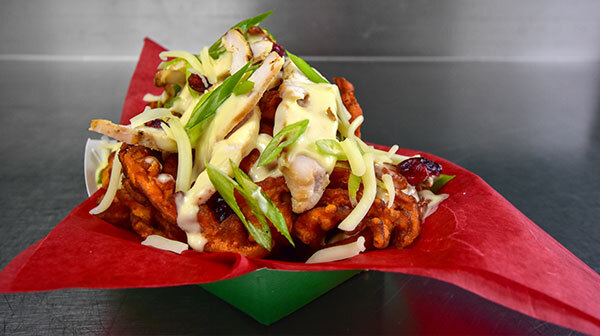 Loaded Fried Yams – Crispy fried yams topped with melted queso, grilled chicken, cranberries, green onion and cheese. Back by popular demand a great shareable snack. Available at Seasons Eatings. 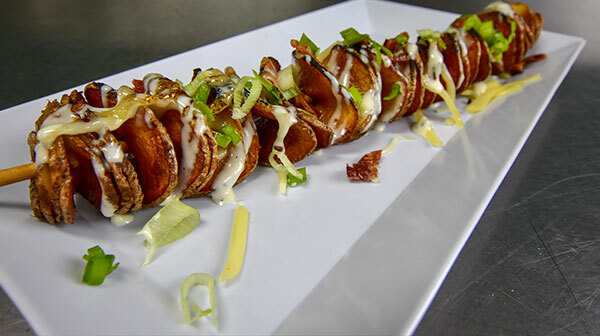 Loaded Tornado Potato – A whole potato handspun, deep fried on a stick – then topped with bacon, melted cheese, sour cream and green onion. As fun to eat as it is to make. 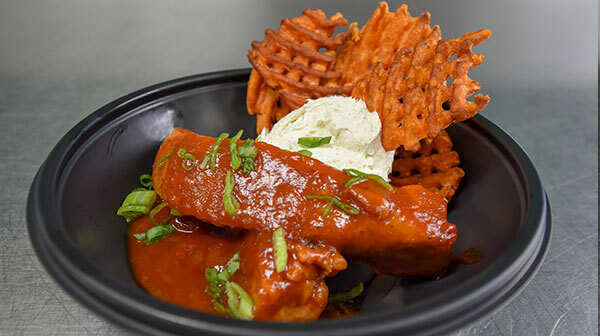 Potluck Sausage – A modern spin on traditional potluck smoked sausages featuring Kansas City sourced sausage, homemade Worlds of Fun BBQ sauce, homemade whipped cream cheese and sweet potato fries. A must have. Available in the food truck in Americana. 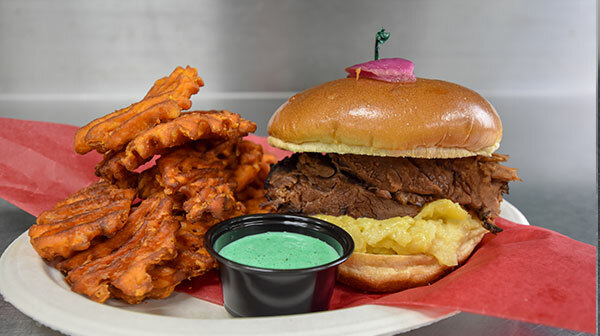 Pot Roast Sandwich – Marinated, juicy pot roast stacked on top of creamy cheese potatoes and topped with a homemade pickled onion. Served with sweet potato fries and green Grinch dipping sauce. 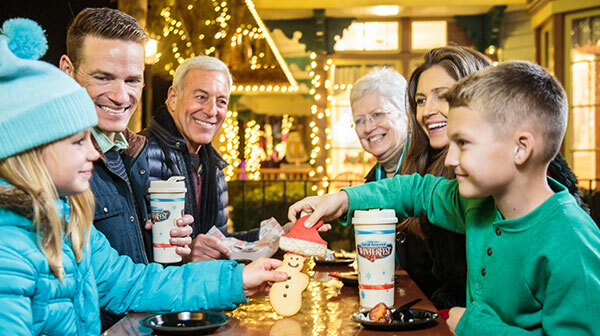 Available in Coasters Rockin’ WinterFest Café. 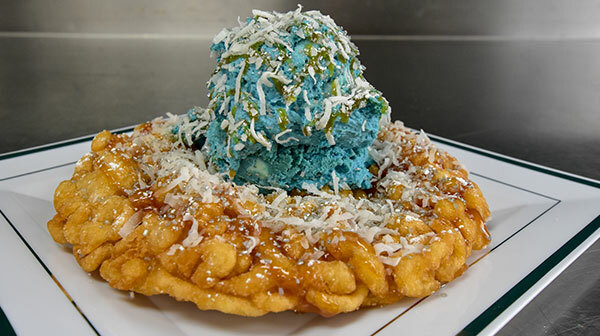 Seasonal Funnel Cake – A deep fried and fluffy funnel cake topped with cheesecake, crushed coconut and warm caramel. 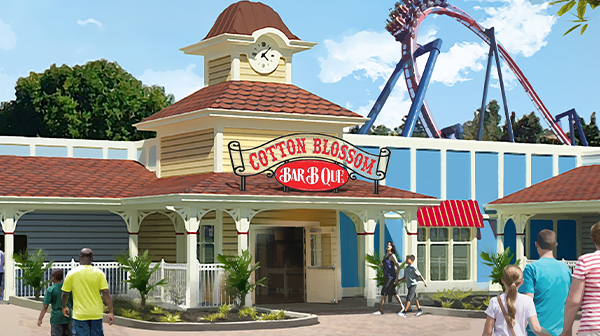 A traditional park staple that will have your taste buds spinning like a dreidel. Available at Sugar’s Cake Factory. 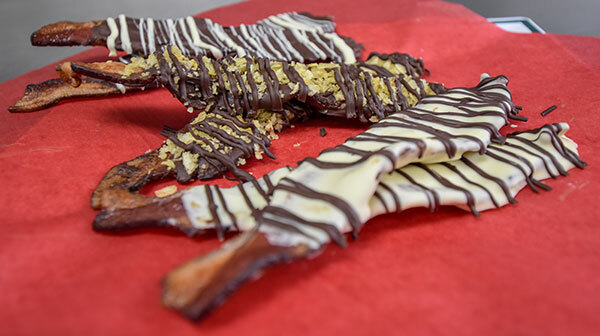 Tuxedo Chocolate-Dipped Bacon – Smokey bacon dipped in dark and white chocolate. Available in Old St. Nick’s Ice Cream Factory. 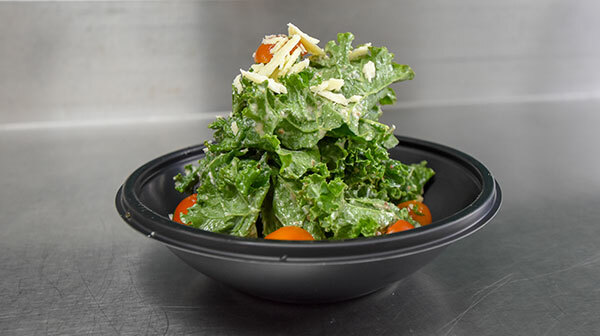 Kale Salad – Fresh Kale topped with Parmesan cheese, cherry tomatoes and homemade bacon vinaigrette dressing. A healthier option that’s great as a side or by itself. Available in Dancer’s Snack Shack. 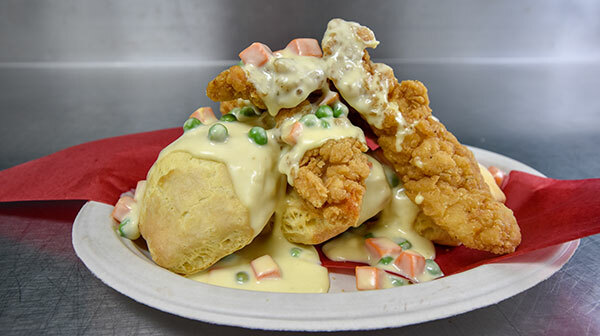 Chicken and Biscuits – A hearty helping of fried chicken and fluffy biscuits topped with country-style gravy and veggies. A southern classic. Available in Dancer’s Snack Shack. 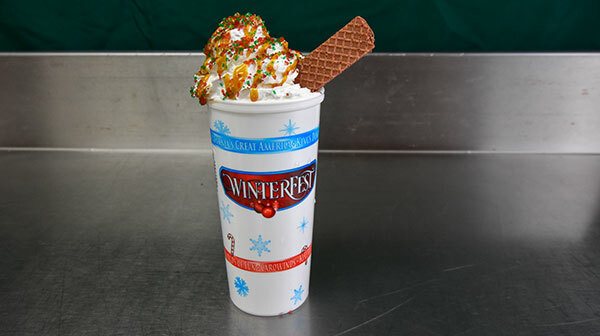 Deluxe Hot Chocolate – Hot chocolate topped with whipped cream, caramel, festive sprinkles and a wafer cookie for dipping. The ultimate holiday staple for chilly nights. 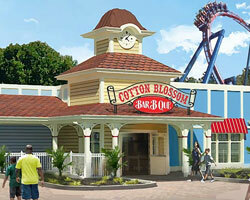 Located at multiple dining locations. Can’t fit all the flavor into one night? No worries. 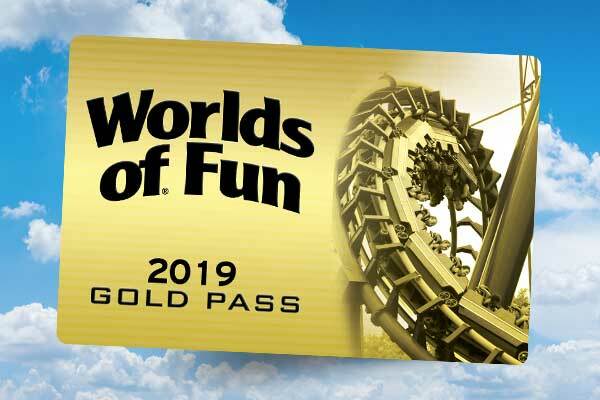 You can try what you missed during your next visit to WinterFest at Worlds of Fun, which runs select nights through December 31. 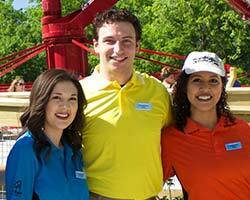 To add sugar on top with sprinkles, 2018 Season Passholders receive a 10% discount. 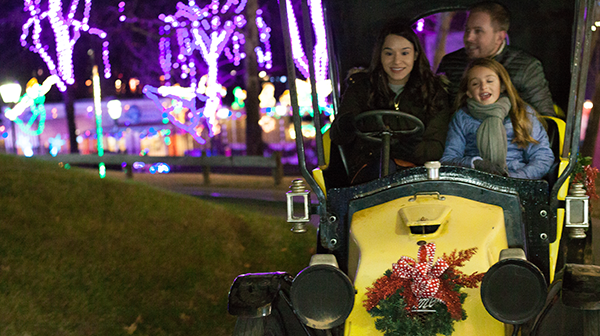 Plan your visit to WinterFest at Worlds of Fun today, and be sure to share your visit on social media using #WinterFestKC. 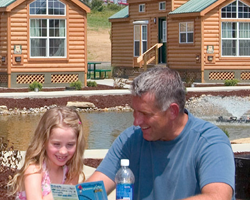 After a night of family fun and festive food, you’ll surely be leaving with dreams of sugarplum fairies. 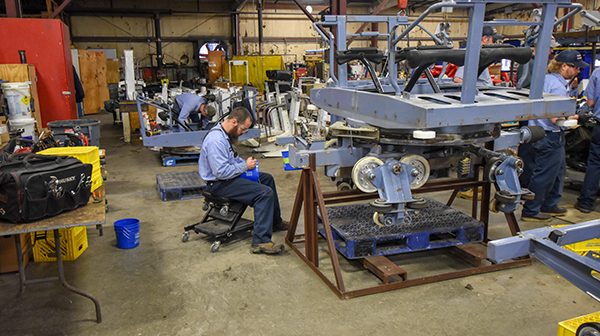 What Rides Will Be Open During WinterFest?